Wedding season is on a great spree and today my post is for all the beautiful brides here. Every simple lady desires to look gorgeous at her wedding. 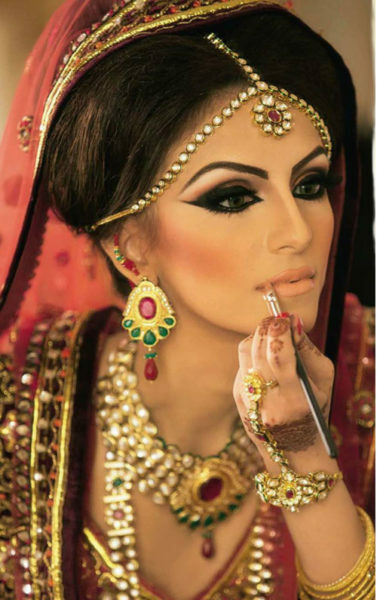 Finding a perfect makeup artist for your wedding is your biggest concern. A perfect makeup artist can bring out perfect bride in you, but this can also be vice versa. Just because it is a high end professional makeup artist appointed for you, you stop worrying and paying attention to your makeover. But there are chances even your artist can end up making some blunders. And I’m sure no one wants to face this on your special day. So here are small blunders and mistakes that your makeup artist can make. 1. Choose the correct shade of foundation. You should always choose the correct foundation shade which merges with your skin well. If you end up choosing the wrong one, it will spoil your look totally. 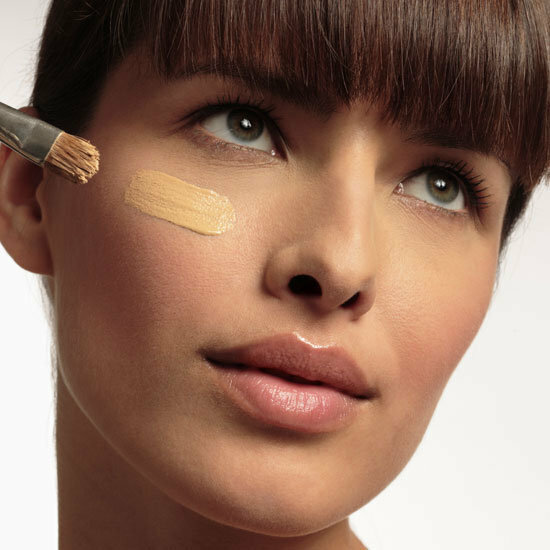 A less lighter or a darker shade of foundation can make a great difference so always go for a trial before you apply directly on your face. For this take some foundation between your index finger and thumb, blend them well and see which suites you well. Be sure you are not under artificial lights; lights can create a fake impression of colour. Every one of us has that person in our life, on whom we can spot out the uneven makeup and left out areas. I.e. you can see a cakey face, pale, white or a darker neck and shoulders. Do not take a risk; it is not only your face that should be concealed properly with foundation, but also the nearby areas. Take care of your neck, shoulders, upper back, arms and other revealed parts.Donot let your makeup artist miss these areas and create a difference. Do not shy about the height of your fiancé; share it directly with your makeup artist. Your height as a couple should match, and no women would like to look longer than their fiancé. Usually women appear taller than their actual height because of their high heels and puff bun hairstyle. Take care how your artist styles your hairs, ask him to to make it a low puff or some other style that do not add more to your height. You should always ask for Trial sessions before your wedding. Always concentrate either on the eye makeup or lip makeup. If you wear a bright eye look, then go for a subtle lip makeup. You can go with neutral colour lipsticks. If it is velvet red lipstick, calm down your eye make with neutral shades. Bold application of eye and lips may sometimes ruin your look. Even if you don’t like to stuff yourself with waterproof foundation, you will have to love it on your wedding day because there is no alternative to this. Wedding comes with a blend of various functions and rituals which are quite long and consumes a lot of time; applying the normal foundation may easily get smudged. If you choose a normal foundation for your wedding day, you may lock yourself in trouble. Wedding, being an emotional affair, raises the stake of your makeup getting smudged and carried away by sweat and water. So always make sure you are putting on a waterproof foundation. Good post Rima. It’s always wise to check the makeup artist’s portfolio out and getting trials.